We’re so glad you’re here. We believe every person who uses the street has a unique and valuable perspective to share. Your stories, your experiences, and your actions all help shape the way our streets are now, where they’ve been, and how they can grow and change. Updated and expanded - with a brand new chapter to help you conduct your own experiments in the street. A tool to help you turn problems you have identified into actionable ideas. Turn to the 'brainstorming your experiment' section of the Soul Searching workbook for instructions. A tool to help you bring your ideas to the street. Turn to the 'planning your experiment' section of the Soul Searching workbook for instructions. Create your own historic sign to share stories from your local streets. 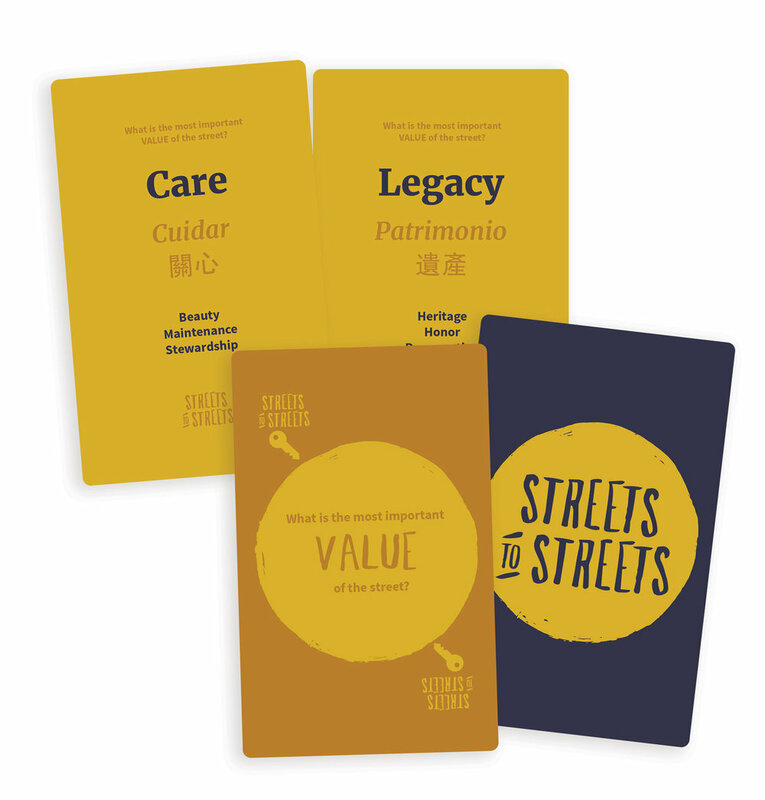 Use these cards to ask 'what is the value of this street?' to members of your local community, to start meaningful and interesting conversations about streets. 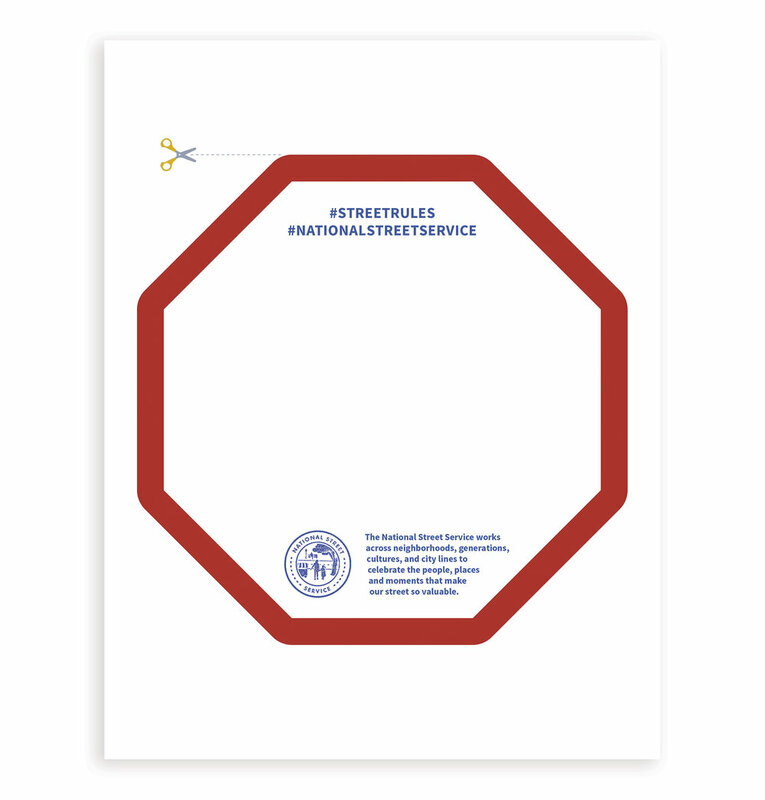 Hand out a Lifetime Pass to the Street to remind the people you talk to that the street is public space, and it belongs to everyone to enjoy, to shape and to serve the needs of all who use them. Price tag your city to show what you value in the street, or call out the costs and benefits of everyday street objects. Contact local officials to share what you love, and what you wish could be better about your local streets. Bonus actions from current volunteers. Find out what other volunteers are excited to accomplish and try it in your own neighborhood. Create your own rules for the street. For ideas, first try the 'Observation and Reflection' exercises to help you see the street with fresh eyes. Ideas for how to build your street experiments - cheaply and easily. For Inspiration: Bonus actions from current volunteers.